Our dental practice exists to help our clients obtain and maintain the highest level of oral health that they desire. We promise to view all clients respectfully as unique individuals with specific wants and needs. We will provide a safe, open, non-judgmental environment where clients can receive the highest quality treatment. Our staff members work together as a cohesive team in an atmosphere that fosters open communication, individual growth, and sound ethical business principles. We continually strive to improve our services, our relationships, and ourselves. Dr. Tom Orazio is a graduate of Oregon Health and Sciences University School of Dentistry. Although he graduated in 1983 Dr. Orazio is a life-long learner. He is passionate about advanced training in dental education. Dr. Orazio has completed thousands of hours of post-graduate training. He is continuously enhancing his skills and knowledge to ensure that his patients receive the finest care modern dentistry has to offer. Dr. Orazio is a member of several ongoing dental study groups. He has also completed the postgraduate curriculum of “Orognathic Bioesthetics International” (OBI), the institute for comprehensive oral diagnosis and rehabilitation. As a graduate of OBI, Dr. Orazio has achieved one of the highest marks of distinction in advanced dental education and technical training in the diagnosis and treatment of complex dental problems. Dr. Orazio has developed a special interest in helping patients who suffer from bite problems, facial and headache pain, and TMJ disorders. With his unique training and expertise in Bioesthetic Dentistry, Dr. Orazio offers a variety of treatments to restore worn, damaged and missing teeth with exceptionally functional and esthetic results. Dr. Orazio is a member of The American Dental Association, The Academy of general Dentistry, The Oregon Dental Association, and the Washington County Dental Society. Dr. Orazio and his wife, Rhonda, live in Beaverton. They have 3 children. Outside the office, Dr. Orazio enjoys spending time with family and friends, exercising, traveling, reading, golfing, and other outdoor activities. Our friendly team works together well to serve you and your family. We are dedicated to making sure your visit in our office is pleasant and comfortable. We will answer all of your questions so that you can make informed decisions about your dental care. 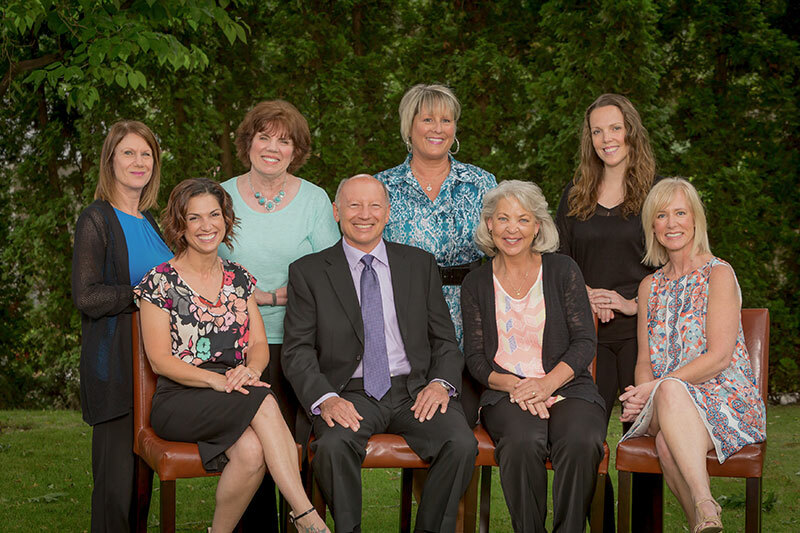 We invite you to contact our dental office in Portland, Oregon, today to learn more about us and to schedule your next appointment with our dentist. Since 1996 DeAnn has enjoyed a career in dental hygiene. She is a warm, friendly professional who loves partnering with her clients to work toward optimal health. DeAnn believes listening, understanding and choice are key elements in building relationships. She believes in continual growth both professionally and personally, and is what we call a lifetime learner. When not working DeAnn enjoys spending time with her husband and adult children. Together they enjoy music, traveling, sports, the outdoors and animals. As a wife and mother, Angela understands the value of patience and compassion in all of life’s actions, including dental hygiene. Respect, comfort and an open-minded approach are essential components of her goal to guide clients to the level of oral health they hope to achieve. Natural and balanced function of the human chewing system as it relates to overall health, children’s health and nutrition are areas of particular interest for Angela. Angela and her family are natives of Oregon and can think of few things better than adventuring through Portland’s neighborhoods, camping in our lush forests or digging their toes into the soft sand at the coast. Lori brought 23 years of experience with her when she began assisting Dr. Orazio in 2003. Her passion for learning new aspects of dental treatment and her diligence for attending to details of comprehensive patient care combine to provide our patients with optimum care. She also assists Dr. Orazio in all areas of Bio-esthetic rejuvenation. Lori and her husband have a daughter, son in law and two grandchildren. Lori enjoys walking, traveling and antiquing. Kathy is likely to be the first face you will see when you enter our office. She makes everyone feel welcome and has a terrific sense of humor. Kathy brings many years of dental experience with her. She is a real “people person” who takes great pleasure each day spending time with our patients and the office team. Outside the office Kathy and her husband Tom love spending time with family and friends. Along with their dog Ana. Kathy is an avid walker. She has a married son in Portland and a married daughter in Houston. Debbie has been in dentistry since 1994. Initially, she assisted chairside, and then moved to the front office. Debbie’s understanding of clinical dentistry along with her administrative experience allows her to smoothly coordinate all areas of our practice. She will make sure that your experience in our office is smooth and easy. Debbie is dedicated to building relationships with our patients. She works closely with Dr. Orazio and our patients to coordinate treatment plans that meet individual needs. Debbie and Todd, her husband have two adult children. Outside of the office. Debbie enjoys bringing family and friends together. and various outdoor activities. Debbie loves to read for continuing education and for pleasure. Nadine began her chairside assisting in 2003. She enjoys the dental diversity in assisting and working as part of a team to provide excellent care. Nadine’s friendly and caring personality help our patients to feel cared for and safe. Nadine’s experience and knowledge make her an important part of our team. In her spare time Nadine enjoys spending time with her husband and two daughters. Nadine and her girls like to build forts, put together puzzles and play hide and seek. Nadine and her husband enjoy cooking, hiking and family friendly outings with the girls. Her hobbies include reading, crafting, and pinning to name a few. They also have a Chihuahua named Mojo and a cat named Molly. Linda brings over 40 years of dental experience to our practice. Her attention to detail and her systems ensure that our patient’s claims get paid by the insurance company in a timely manner. Her clinical and administrative knowledge make her a valuable part of our team. Linda enjoys traveling with her husband, volunteering for mission trips and loves spending time with her grandkids.